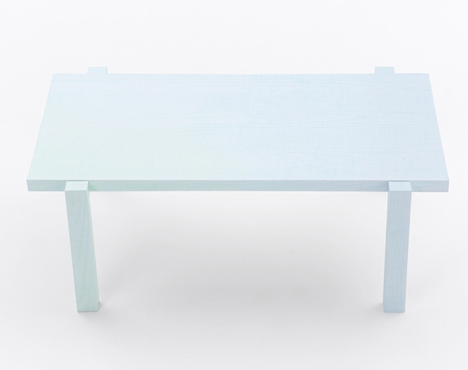 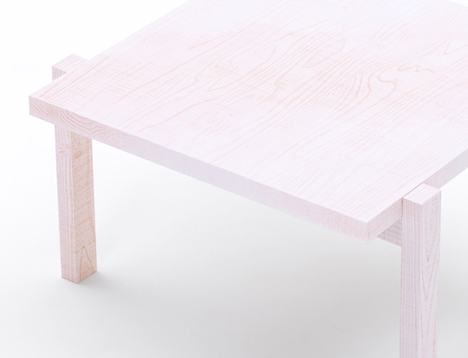 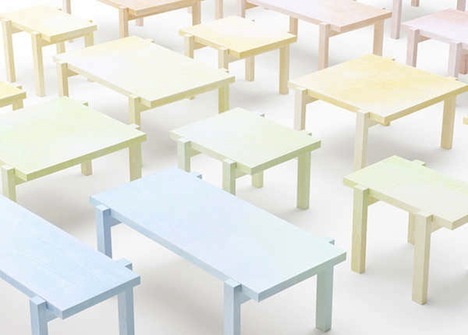 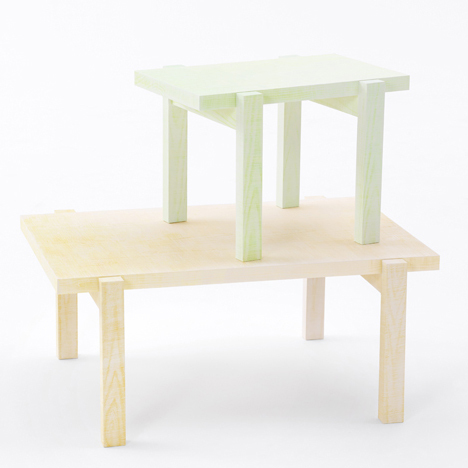 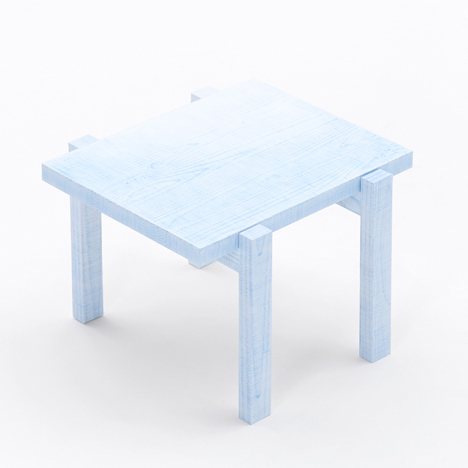 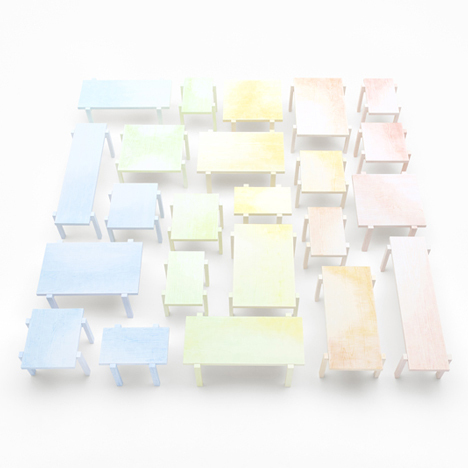 Japanese design studio Nendo has created a series of unconventional, pastel-hued wooden tables that have been colored with crayons by hand. 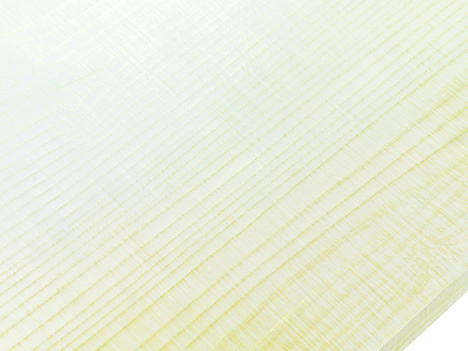 The collection—named ‘Colored-Pencil Table’—uses a technique named “udukuri” to strip away the softer parts of cypress wood, so as to expose the harder grain lines. 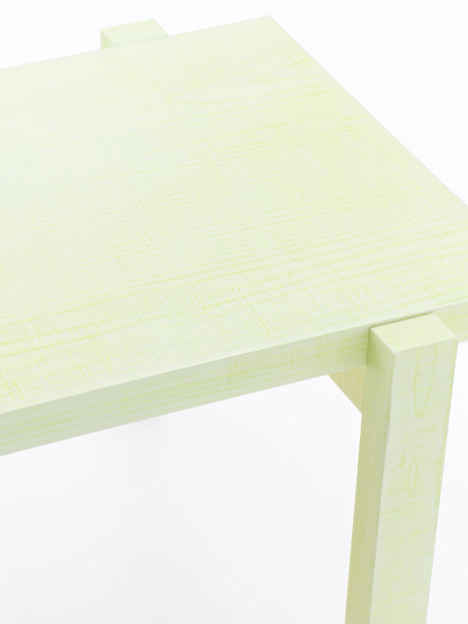 After that, a thin layer of paper was laid over the wood, then crayons were used to color over the surfaces of the table to create a delicate “wood rubbing” texture. 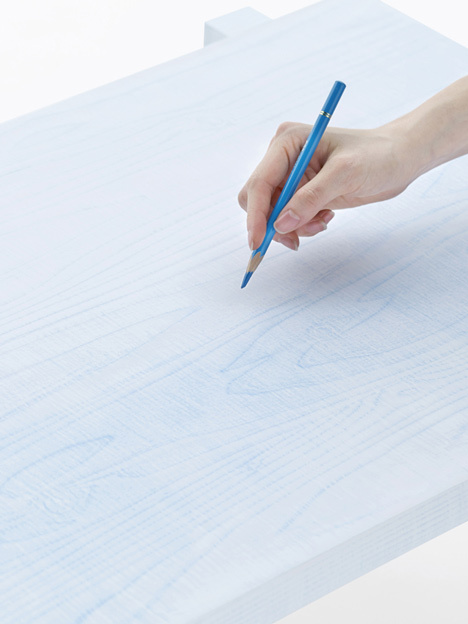 According to Nendo, this method "created a tantalising juxtaposition between the familiar proportions of wood and the finish of the paper, and an inviting fusion of the subtle shades and blur of the colored pencils with the raised wood grain”. 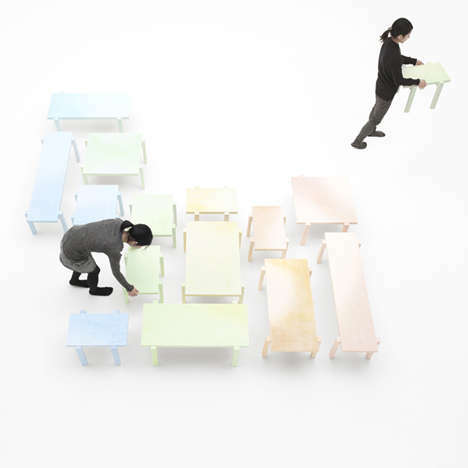 The project will be on display at the Saint-Etienne Design Biennial from 14 to 31 March 2013.